Today my boyfriend and I took a little drive to Beavermead Park here in Peterborough. It is the first time either of us has visited this park, but I've seen some pretty awesome sightings here in the past few days so we figured we would give it a shot! 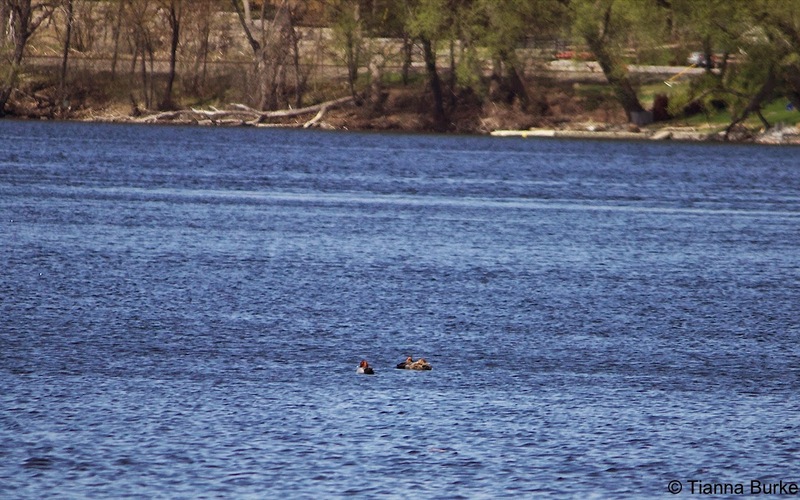 Although we didn't find all the awesome things seen the day before...we were able to see quite a few spring migrants! 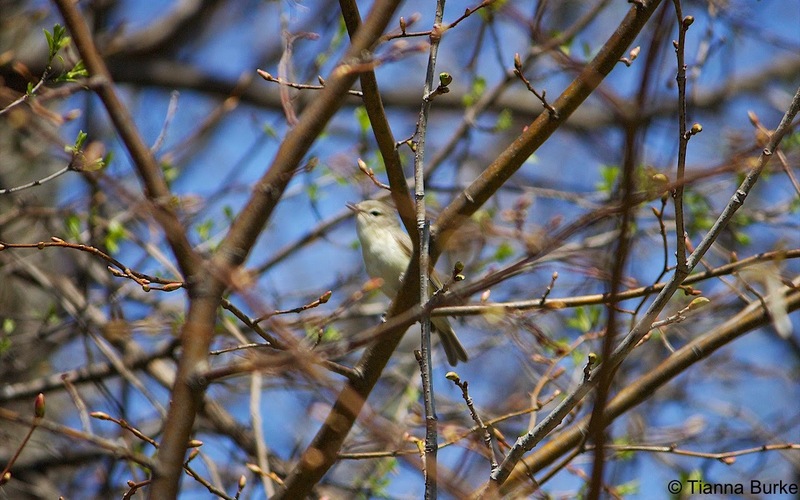 The first bird of excitement we were able to spot was a Warbling Vireo! I've seen a few of these before, but this was actually the first one I was able to ID on my own! 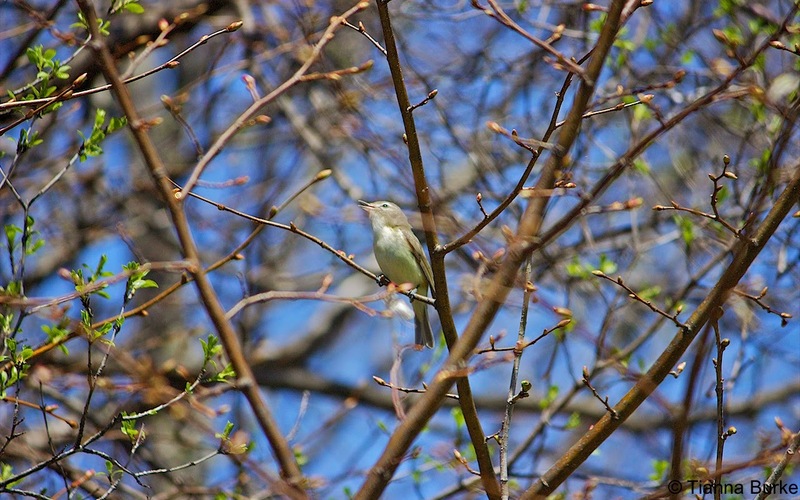 I love hearing their warbling little song! There was also a number of Mallards, my first Grey Catbird of the year, and a VERY annoying Robin who was making some strange noises! I had to stare at it for a good 10 minutes before I could finally admit to myself it was the Robin making the noises. 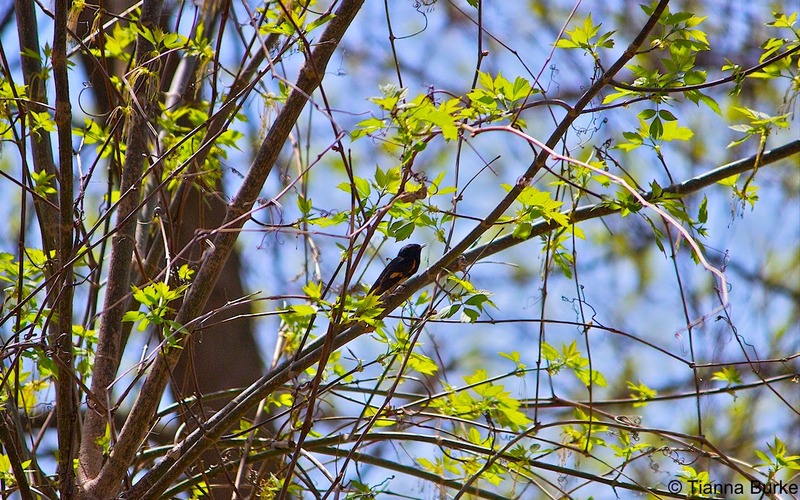 The next "first of the year bird" we saw and could capture was an American Redstart. The wooded area in the park was flooded with these little guys! It's almost all that I could hear. 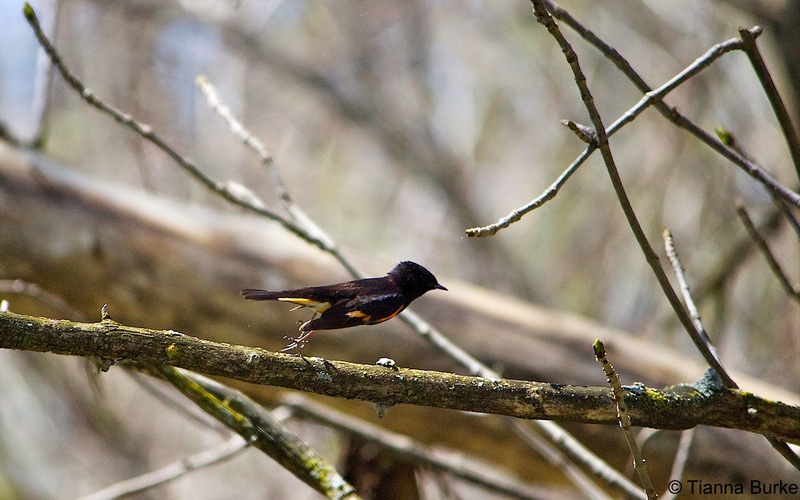 Redstart out for a run! 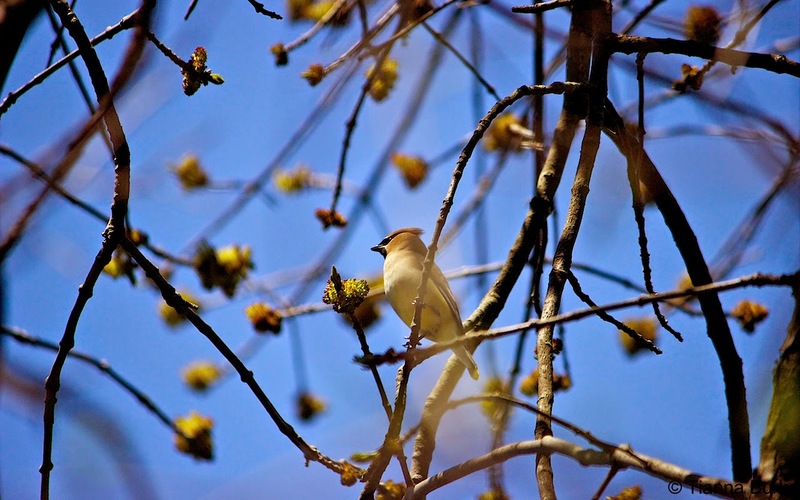 Another sound flooding the skies was a bundle of Cedar Waxwings! They were all over the treetops eating the buds. I never get tired of seeing these little masked bandits. 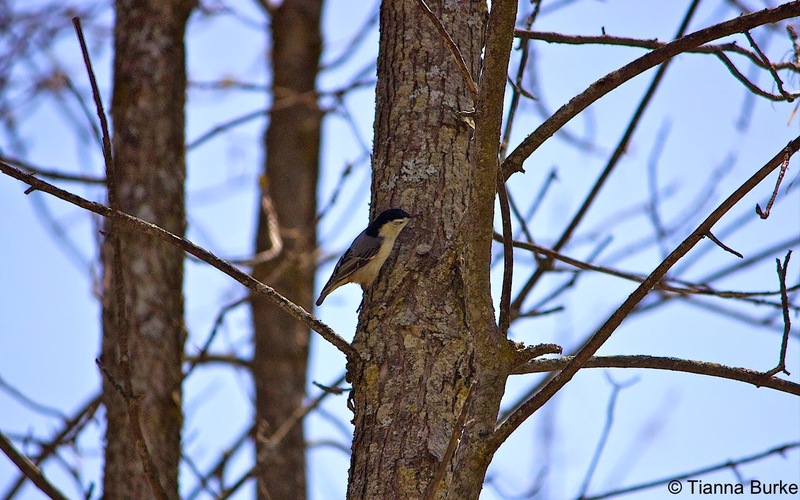 I was also able to get my first (somewhat decent) photo of a White-breasted Nuthatch! Looking out into Little Lake we were expecting to see some Mallards...but instead we found three Redheads! 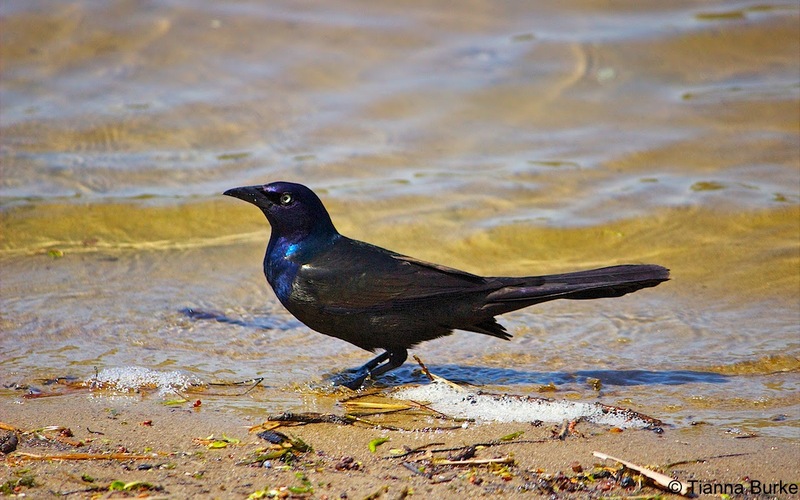 When we added it into Ebird, it was supposedly a rarity for this time of year, so that was really exciting, in addition to not having seen them in this region before! Since it was such a beautiful day, we figured that there had to be some snakes or turtles around. Mike went around flipping a bunch of rocks and logs but there was no reward for that this time around. 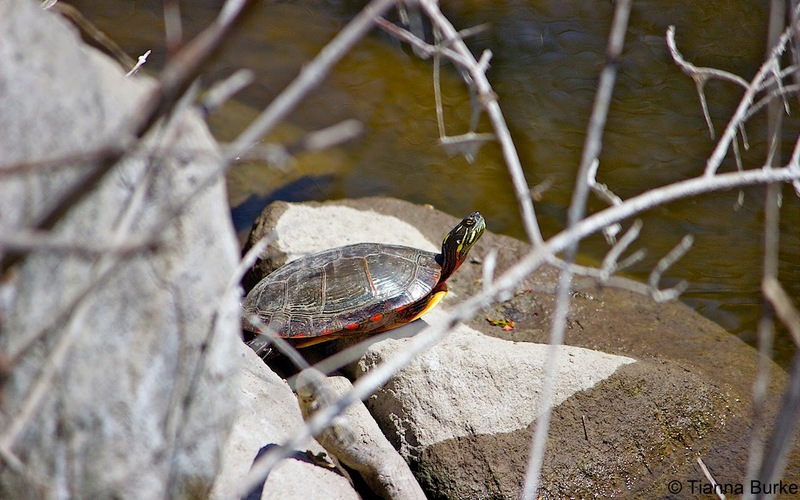 We did however get to see about 5 Painted Turtles! These little guys were out on logs and rocks basking in the beautiful sunlight. I hope that everyone was also able to get out and about this weekend! What a beautiful start to the summer...finally! Hopefully no one else also got sunburnt!